So if you can't beat them join them.....at least that's what some people say...I say the more pinball the better. Anyway following in the footsteps of New York, Chicago, and others as well we are starting up a "Super League" in Lafayette, IN at Main Street Amusements! The first month will start March 1st, and run through the 31st. There will be a head-to-head play finals the first Wednesday of the following month, in this case April 6th. 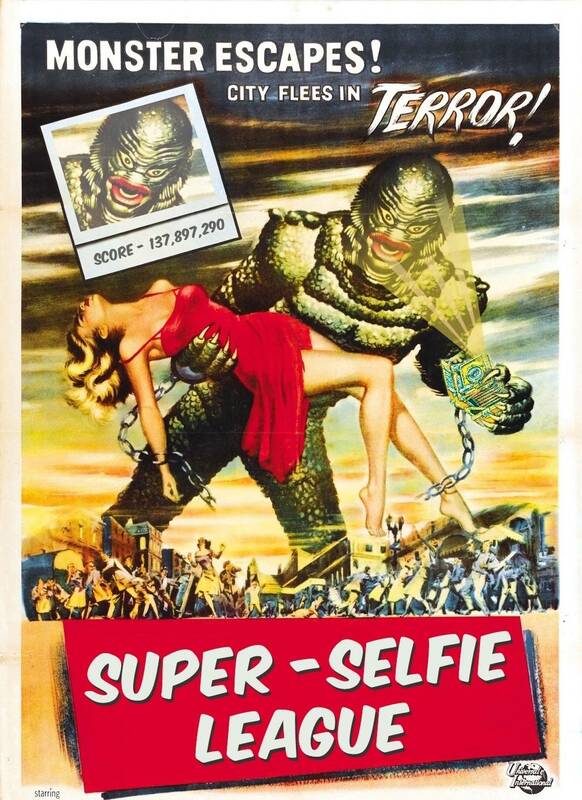 The 5 "Super-Selfie" games of the month are Creature from the Black Lagoon, Bobby Orr Power Play, Theatre of Magic, Monopoly, and Twilight Zone. 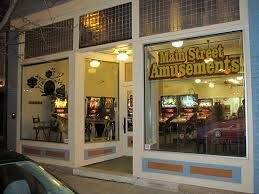 Main Street Amusements is one of the premiere locations in the entire country for pinball! Check out their website and facebook page as well! 30+ machines up and running in amazing condition at all times! Old stuff, new stuff, and pretty regular changes to the lineup. Check out the Facebook page which I just created and will be adding more information to in the coming days as well as using as a social tool for our league. We will be using Match Play Events as our scoring tool for the league. If you don't already have an account it is free and will make it so that you can enter your own scores and also easier to follow along with the standings not just in our league, but in any other events that you play in that are run through Match Play Events. https://matchplay.events/ to get your account! https://matchplay.events/live/lplselfieleague/standings to follow along with the standings! Below is the informational text straight from the flyer that will be available at Main Street Amusements to the public. The Lafayette Pinball League has decided to create a “Super-Selfie League” as an opportunity for players to earn more WPPR (World Pinball Player Ranking) Points, have a more convenient schedule than our regular Tuesday night league, attract new players to organized pinball, and increase the amount of play at Main Street Amusements. Every month five (5) games will be listed as “Super-Selfie League” eligible. Players have the entire month to play each game as many times as they would like during business hours. Only your highest submitted score for each game will be used for the qualifying standings in the tournament. All games will be played as they sit on the floor meaning if you earn an extra ball during qualifying you play it. A finals night will take place on the first Wednesday of the following month starting at 7:30 PM. All players who participate in the qualifying for the month can show up and play in the finals. All individuals who participate BECOME A WORLD RANKED PINBALL PLAYER! STEP 2 – Play anytime! Take pictures of your best scores and email to lafayettepinballleague@gmail.com or text them to Tommy Skinner 574-596-2668! All photos must include a picture of the player and their score on the display (AKA a Selfie), or a time stamped photo will work. Please include your name in either the email or text. Ask a friend or stranger for help if needed. STEP 4 – FINALS NIGHT! First Wednesday of every month at 7:30 PM! All participants from the month are invited to finals. The top 4 spots will play the “A” finals, next 4 in the “B” finals, next 4 in the “C” finals, etc. Should there be more than 40 players for the month the “A” division will feature the top 8 finalists instead of the top 4. Finals format will be PAPA style 3-game rounds. We really hope that a lot of you will consider making the trip to check out this awesome location, and play the Super-League games while you are there. Just so you know as of right now the newest game is GoT Premium with a Big Lebowski on the way, and Rob Zombie also likely to appear on location later this year....like I said it is quite the location. Goodluck! I hope we give this a try sometime this year too. This annoys me because it's going to give all the LAF players better seeds during state next year! Advantage is anyone from anywhere can come on down and play at anytime that is convenient for them during the month and get points for being in the league. Hopefully it just increases the amount of people playing organized pinball, and from experience I can say the seeding helps me none when it comes to the SCS. I agree. Hopefully it forces us to do more of the same up here to stay on level with you guys. Seeding sure isn't everything, huh? Was surprised to see you bounced so quick this year. Haha yeah Dan Isaacson is good, I made poor game selection, and learned my lesson about working at the bar until close the night before the tournament. Won't do that again next year. I hope you guys do start something similar up there because I can't make the weekly league stuff, but I could shoot up that way once a month to get my games in whenever it was convenient. Let me know if you want any of the info I've borrowed from others and some I created myself and I can get it to whoever would want to run it up there. That just means you need to put on more events near you We have to fight STL pretty hard for points too. It seems like this format might take off. Should be a lot of fun and hopefully will convert some casual players into competitive players! One of our league guys is actually planning to run Monthlies at the same place we hold our weekly league. I don't think it's all fleshed out yet, but they're working on it. I'd be happy to pass on the info if you want to PM/email it to me. Thanks. Tucson might have the lowest turnout of all the selfie Superleagues, but we're having a lot of fun 3 weeks into the adventure. Enjoy the ride and best of luck. Just shoot me your email I'll send you what I have. You don't need to have a Spider-man VE to know with great power comes great responsibility. Haha I'm okay with whatever comes my way, I'm sure I've seen better and worse. My number has been posted to this site about 1000 times now, and other than a few creepy heavy breather calls late at night no harm has come, and Matt you better be coming up for Super League! My spring break is only a month away now so get ready to be hosting me for a long night of pinball sometime that week. I told you I'd even put the games on free play for you. Didn't mention the cover charge though. Hope to see you there! Or at least pictures of your scores! Do like The Creature! Join the Super-Selfie League! I'm in. Thanks Tommy for putting this together. No problem Tom, figured gives us another excuse to visit MSA!!! Andreas, from Match Play Events has been super helpful in quickly updating his website to be able to handle all of the new super leagues. He has now added a feature that allows players to submit their own scores, along with a picture, and even have that picture shared to the league's facebook page or the players personal timeline! Then the director for the tournament just has to approve the score. The scores can be viewed live but points won't be awarded to players until they are approved by the director. It is seriously awesome! Check out the link for the very simple instructions, and again I hope any of you traveling close to Indiana, or just looking for an amazing place to play location pinball check out Main Street Amusements and participate in the tournament!